On April 17, 2010, Pack 830 of Sandy Creek held an awards ceremony for seven of their Cub Scouts that have graduated and become Boy Scouts of Troop 830. 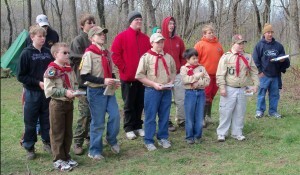 Four of the scouts also received Cub Scouting’s highest honor, the Arrow of Light (AOL). Not only is this award the highest achievement a Cub Scout can earn, it is the only award earned in Cub Scouting that can be worn on their Boy Scout uniform. 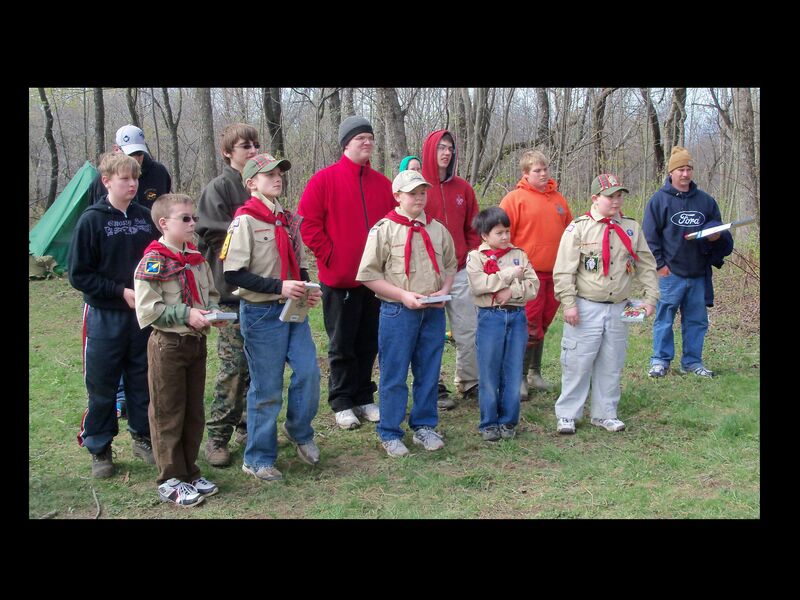 The Webelo Scouts graduating are (in the front row) Chase Pappa, Jesse Cornell, Tyler Woolson (AOL), Nicholas Radford (AOL), and John McGrew (AOL). Not pictured but also inducted were Skyler Marshall and Frank Falcone (AOL). Pictured in the second row are scouts of Troop 830 that assisted in the ceremony that took place at one of their monthly camp outs. The leadership and fellow scouts of Pack 830 wish these new Boy Scouts continued success in their journey through scouting.